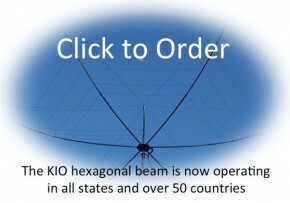 Here is a wire set for one band of the Hexagonal Beam by KIO Technology LLC. Made of 14 gauge PVC insulated 168 strand Flex weave, it is easy to handle and tangle free. Each element is precisely measured and cut, the lugs crimped and soldered. The cords shown are strong, no-stretch, Kevlar with a Dacron cover for UV protection. The cords also are precisely measured for optimal performance, cut and attached to the wires and the junctions are covered with UV resistant heat shrink. 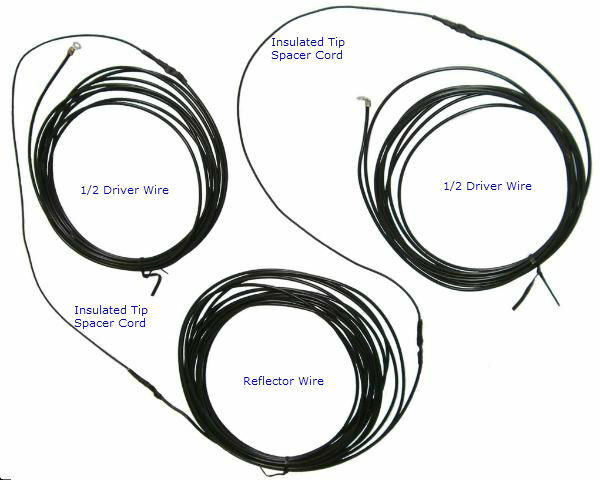 The PVC insulation protects the wire from saltwater corrosion. 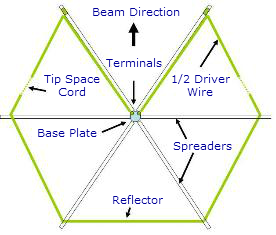 There is one of these for each band equipped on your beam.The lugs are bolted onto the terminals on the center post and the wire assembly is attached to each of the six spreaders to form the unique shape of the hexagonal beam. 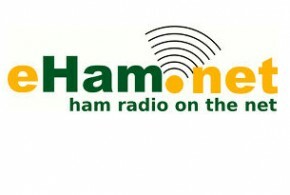 If you need replacement wire sets, buy them here.